For the past two years, Drug War Chronicle has been tracking all the US deaths directly attributable to domestic drug law enforcement, including the border. You can view the 2011 deaths here  and the 2012 deaths here .Soon, we will hand our findings out to criminal justice and other professionals and then issue a report seeking to identify ways to reduce the toll. In the meantime, we can look at the raw numbers from last year and identify some trends. Law enforcement deaths began and ended the year. The first drug war death, on January 4, was that of Ogden, Utah, police officer Jared Francom , who was serving on the Weber-Morgan Metro Narcotics Strike Force when he was shot and killed during a "knock and enter" SWAT-style raid on a suspected marijuana grower. Five other officers were also shot and wounded, as was the homeowner, Matthew Stewart, who is now charged with his killing and faces a death sentence if convicted. The last drug war death of the year, on December 14, was that of Memphis police officer Martoiya Lang , who was shot and killed serving a "drug-related search warrant" as part of an organized crime task force. Another officer was wounded, and the shooter, Trevino Williams, has been charged with murder. The homeowner was charged with possession of marijuana with intent to distribute. In between Francom and Lang, six other officers perished fighting the drug war. In February, Clay County (Florida) Sheriff's Detective David White  was killed in a shootout at a meth lab that also left the suspect dead. In April, Greenland, New Hampshire, Police Chief Michael Maloney  was shot in killed in a drug raid that also left four officers wounded. In that case, the shooter and a woman companion were later found dead inside the burnt out home. 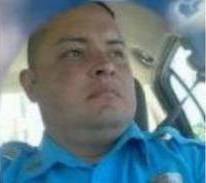 In June, Puerto Rican narcotics officer Victor Soto Velez  was shot and killed in an ambush as he sat in his car. Less than two months later, Puerto Rican police officer Wilfredo Ramos Nieves  was shot and killed as he participated in a drug raid. The shooter was wounded and arrested, and faces murder charges. Interdicting drugs at the border also proved hazardous. In October, Border Patrol Agent Nicholas Ivie  was shot and killed in a friendly fire incident as he and other Border Patrol agents rushed to investigate a tripped sensor near the line. And early last month, Coast Guard Chief Petty Officer Terrell Horne III  was killed when a Mexican marijuana smuggling boat rammed his off the Southern California coast. Charges are pending against the smugglers. Five people died in police custody after ingesting packages of drugs. They either choked to death or died of drug overdoses. One man died after falling from a balcony while fleeing from police. One man died in an auto accident fleeing police. One Louisville woman, Stephanie Melson , died when the vehicle she was driving was hit by a drug suspect fleeing police in a high-speed chase on city streets. In a handful of cases, police shot and killed people they thought were going for guns. Jacksonville, Florida, police shot and killed Davinian Williams  after he made a "furtive movement" with his hands after being pulled over for driving in a "high drug activity area." A month later, police in Miami shot and killed Sergio Javier Azcuy  after stopping the vehicle in which he was a passenger during a cocaine rip-off sting. They saw "a dark shiny object" in his hand. It was a cell phone. There are more examples in the list. Several people were shot and killed as they confronted police with weapons in their own homes. Some may have been dangerous felons, some may have been homeowners who grabbed a gun when they heard someone breaking into their homes. The most likely case of the latter is that of an unnamed 66-year-old Georgia woman  shot and killed by a local drug task doing a "no knock" drug raid at her home. In another case from Georgia, David John Thomas Hammett , 60, was shot and killed when police encountered him in a darkened hallway in his home holding "a black shiny object." It was a can of pepper spray. Neither victim appears to have been the target of police, but they're still dead. One is the case of Ramarley Graham , an 18-year-old black teenager from the Bronx. Graham was chased into his own apartment by undercover NYPD officers conducting drug busts on the street nearby. He ran into his bathroom, where he was apparently trying to flush drugs down the toilet, and was shot and killed by the police officer who followed him there. Graham was unarmed, police have conceded. A small amount of pot was found floating in the toilet bowl. Now, NYPD Officer Richard Haste, the shooter, has been indicted on first- and second-degree manslaughter charges, with trial set for this coming spring. 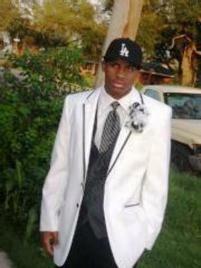 The other case is that of Wendell Allen , 20, a black New Orleans resident. Allen was shot and killed when he appeared on the staircase of a home that was being raided for marijuana sales by New Orleans police. He was unarmed and was not holding anything that could be mistaken for a weapon. Officer Jason Colclough, the shooter, was indicted on manslaughter charges in August after he refused a plea bargain on a negligent homicide charge. When he will go to trial is unclear. Criminal prosecutions of police shooters, even in egregious cases, is rare. Winning a conviction is even less unlikely. When Lima, Ohio, police officer Joe Chavalia shot and killed unarmed Tanika Wilson, 26, and wounded the baby she was holding in her arms during a SWAT drug raid in 2008, he was the rare police officer to be indicted. But he walked at trial . It doesn't usually work out that way when the tables are turned. Ask Corey Maye , who was convicted of murder and sentenced to death for killing a police officer who mistakenly entered his duplex during a drug raid even though he argued credibly that he thought police were burglars and he acted in self defense. It took 10 years before Maye was able to first get his death sentence reduced to life, then get his charges reduced to manslaughter, allowing him to leave prison. Or ask Ryan Frederick , who is currently sitting in prison in Virginia after being convicted of manslaughter in the 2008 death of Chesapeake Det. Jarrod Shivers. Three days after a police informant burglarized Frederick's home, Shivers led a a SWAT team on a no-knock raid. Frederick shot through the door as Shivers attempted to break through it, killing him. He argued that he was acting in self-defense, not knowing what home invaders were on the other side of the door, but in prison he sits. On October 25, undocumented Guatemalan immigrants Marco Antonio Castro and Jose Leonardo Coj Cumar  were shot and killed by a Texas Department of Public Safety trooper who shot from a helicopter at the pickup truck carrying them as it fled from an attempted traffic stop. Texas authorities said they thought the truck was carrying drugs, but it wasn't -- it was carrying undocumented Guatemalan immigrants who had just crossed the border. Authorities said they sought to disable the truck because it was "traveling at reckless speeds, endangering the public." But the truck was traveling down a dirt road surrounded by grassy fields in an unpopulated area. The Guatemalan consulate and the ACLU of Texas are among those calling for an investigation, and police use of force experts from around the country pronounced themselves stunned at the Texas policy of shooting at vehicles from helicopters. Stay tuned. Two weeks later, undercover police in West Valley, Utah, shot and killed Danielle Misha Leonard , 21, in the parking lot of an apartment building. Leonard, a native of Vancouver, Washington, had been addicted to heroin and went to Utah to seek treatment. Perhaps it didn't take. Police have been extremely slow to release details on her killing, but she appears to have been unarmed. An undercover police vehicle had boxed her SUV into a parking spot, and the windshield and both side windows had been shattered by gunfire. Later in November, in their latest sparse information release on the case, police said only that she had been shot twice in the head and that they had been attempting to contact her in a drug investigation. 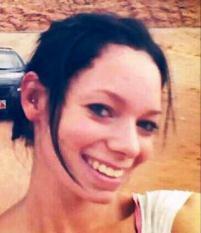 Friends and family have set up a Justice for Danielle Willard  Facebook page to press for action.